Nine years ago, I left Australia because I had the shits about who had just been elected prime minister. At the time, as you can probably guess, I was a very socially-aware beastie who also often reported on Australia’s political parties during my day job as a left-leaning journalist. I remember writing long-winded and heart-felt monologues about what was fundamentally wrong with John Howard, Brendan Nelson and especially Tony Abbott. Fast forward a decade and I don’t think I have ever been so apathetic about an election in my entire life. In fact, the difference between my astuteness from then and now is almost like I have morphed into a completely different person. Maybe I’ve just grown up? Or perhaps I just don’t like either of the choices that our major parties have to offer? I’m thinking it is the latter. And it does seem that I am not the only one. A news report a few weeks ago explained that Generation Y was also very apathetic about Saturday’s Federal Election. According to an Australian Youth Affairs Coalition spokesperson, many politicians thought that just because they could take a mean “selfie” or just had a Twitter account that meant that they were engaging with younger voters. “So many MPs use social media as a means of pushing out their thoughts almost as advertisements, rather than using it for meaningful dialogue,” the spokesperson said. 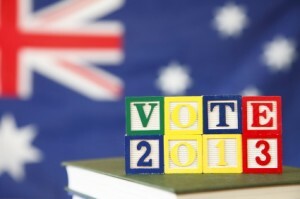 But no matter what the medium, the latest wave of eligible voters won’t play a part in democracy if Australia’s current guise of governing continues, the peak national body for youth said at the time. But my apathy is not because the major parties are not using social media to their best advantage. In fact, I have a Twitter account which I use only spasmodically to promote this blog and little else (oops, that sounds very much like what politicians do). No, I think my apathy is because as a single, childless, professional woman, my life is unlikely to change no matter which party wins on Saturday. That’s a cold hard fact. And if I was to have a purely selfish (actually is that where the word ‘selfie’ comes from?) and economic view about it all, then I would probably vote for the party which my father has long espoused as being the best for a certain demographic. Dad and I have regular debates about the pros and cons of both sides of politics on both sides of the Tasman. He never changes his mind and nor do I, but we (mostly) listen to each other’s opinions and then discount everything that each other has said and sublimely move on to talking about me. This election period, I have not watched one debate, I have read no more than half a dozen news articles – one of which was showing photos of “hot” politicians when they were younger – and thankfully I haven’t been anywhere near a shopping centre when either of the main players were on the hustings. The last bit is quite important you see as I happen to live in the prime minister’s electorate. But even though I haven’t been overly-interested in this campaign to date, on Saturday when I head down to the polls very early it is highly unlikely I will vote any differently than I have for many years. My politics are my politics, regardless of who is leading the party, and I’ve always believed in egalitarianism above everything else. Maybe I’m just not as passionate as I used to be about anything. Or maybe the day-to-day hum-drum of life has overtaken my once overt political awareness. Or maybe I should just throw my hat in the ring instead of whinging about the lack of choice from my ivory tower of privilege. This entry was posted in Australia vs New Zealand, NicNacs and tagged Kevin Rudd, Tony Abbott by OMV. Bookmark the permalink.